Nutmeg Essential Oil is an invigorating, enlivening and uplifting oil. It's said to help stimulate digestion, and to be useful in cases of nausea and indigestion. Nutmeg oil also has anti-inflammatory properties, and is said to be helpful (well-diluted in a massage oil) for joint pain and sore muscles. 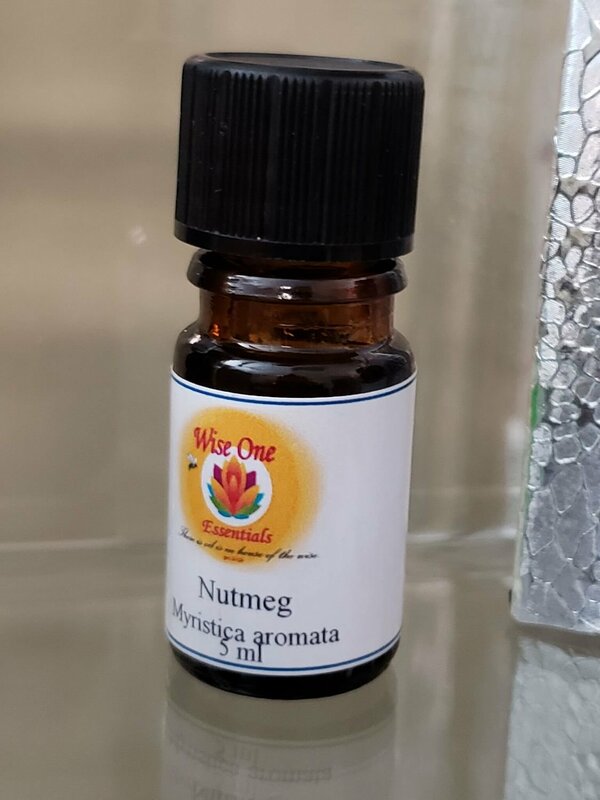 Nutmeg essential oil is toxic if used in large quantities, and can be stupefying. Use half recommended dilution or less. Avoid during pregnancy. Because of these cautions, we recommend this oil for practitioner use only. Blend well and massage into sore joints or muscles.